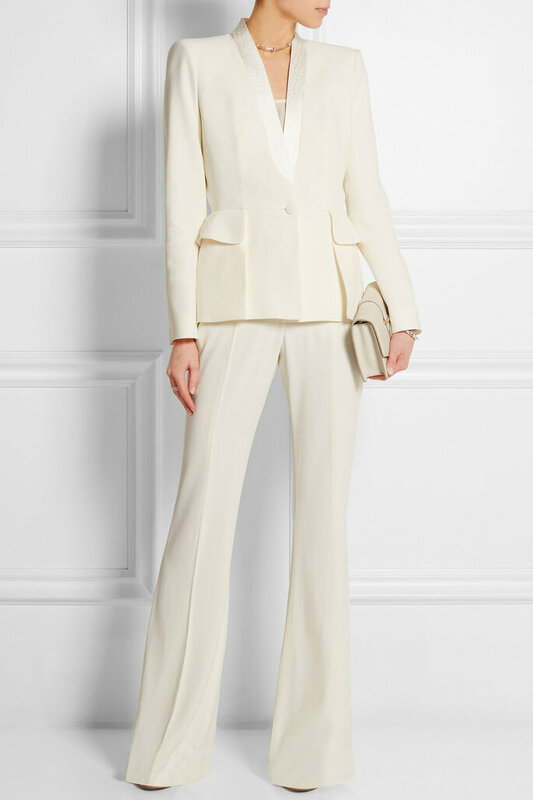 We´re so glad brides are getting more options these days in bridal wear choices - the pantsuit has definitely come a long way! 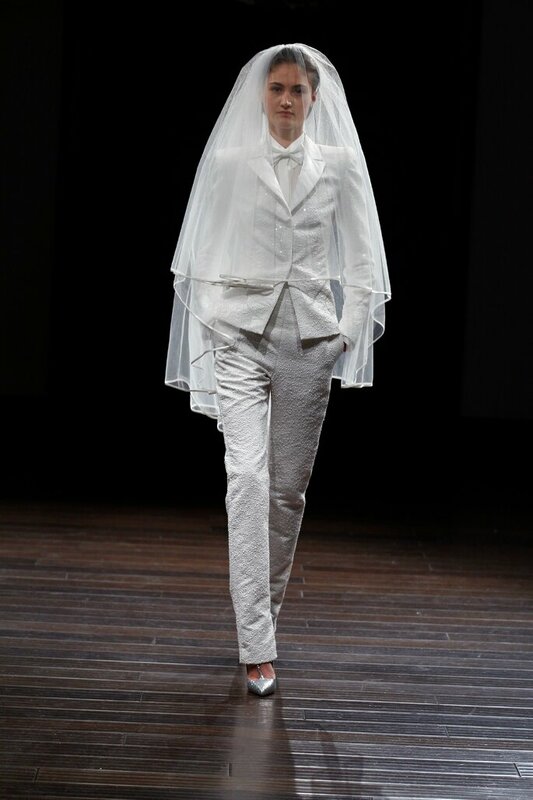 We´ve noticed that in more recent seasons, wedding pantsuits have been making a more regular appearance in collections. We´re loving the look, in fact, we think pantsuits haven´t looked this good since the 80s – and are so much more versatile now. Perfect for an autumnal wedding or even if you just want an alternative look. I mean, just look at this lace perfection from Monique Lhuillier. The pant suit has long been a symbol of the empowered woman. Before, the tailoring would be quite stiff and try to reflect what men´s suits looked like, but as women in the work place became more common, the pant suit evolved to suit our bodies and our fashions. Even ultra feminine designers like Carolina Herrera have embraced the outfit, and edgy brands like Alexander McQueen have turned it into an haute couture statement. We also absolutely love the bohemian version that Houghton has designed. What we love about the modern pantsuit is that it´s so versatile. From sleek chic to sensual sassy to bohemian babe, the pantsuit is suitable for any bride.